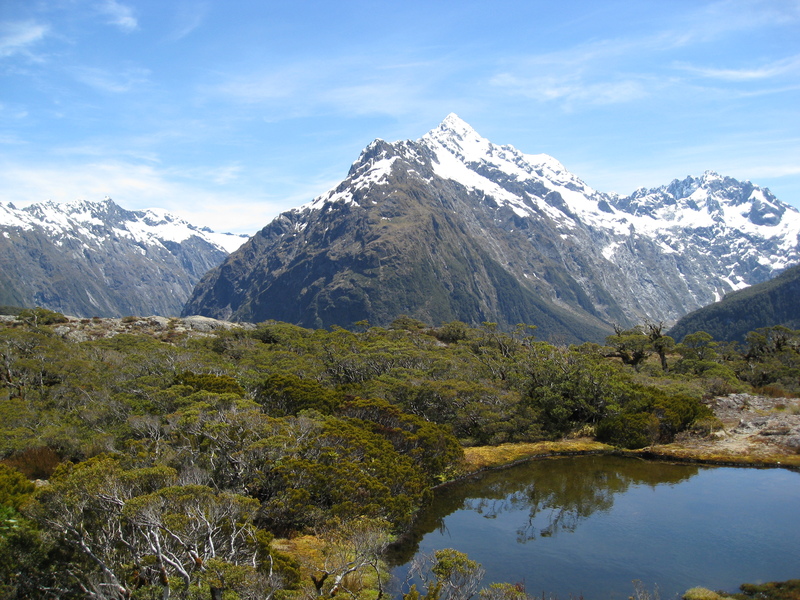 Planning to complete the Routeburn track in New Zealand? Want some hints from someone who has walked the track many times? Interested in the flora and birds? 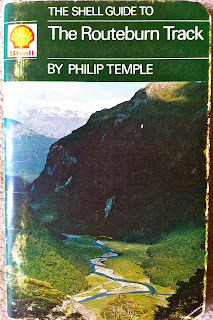 This article is a part review of the 40 page Routeburn Track Guide by Philip Temple, published by Whitcoulls in 1976, which has become a NZ tramping classic and still contains valuable information. 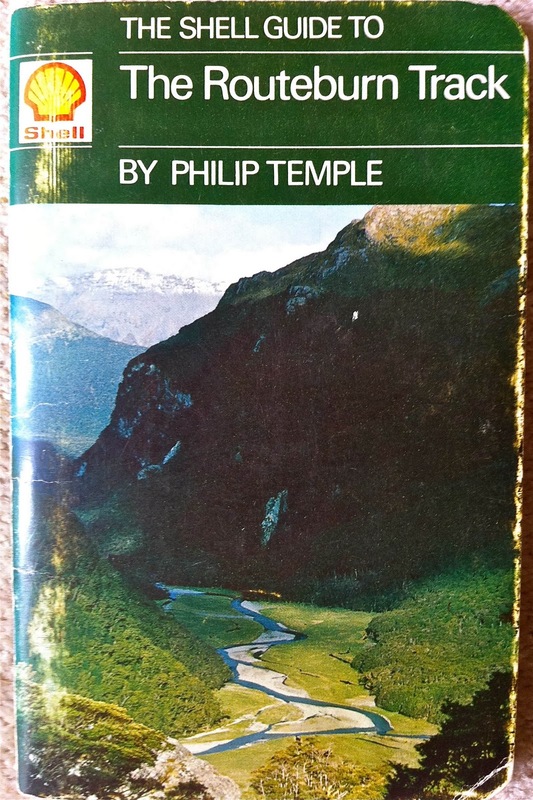 The track is 39 kms long and average travelling time according to Philip Temple is only 13 hours " ... so that a very fit, skilled tramper with a light pack might accomplish it in one summer's day." Flora: Montane beech forest dominates between 500 - 1150 m with three species of beech: red (lower, warmer slopes), mountain , silver. Forest floor thickly carpeted by coprosma, fuchsia, ribbonwood, pepperwood and on the Hollyford slopes, kamahi, broadleaf and totara. Upper flats: arrive after couple of hours, to cross the river by bridge. The Flats (702m) were the upper limits of horse traffic. Routeburn Flats to Routeburn Falls Hut (976m) 3.2 km, walking time 1.25hrs. The lower hut is DOC and the upper private. 1. Routeburn Falls to Harris Saddle, the boundary between Mt Aspiring and Fiordland national parks. Flora: giant buttercup, flowering spaniard, daisy, gentian, ourisia, hebe, snowgrass. The track above Lake Harris may be impassable if snow covered and should not be attempted in bad weather. Views from Harris Saddle: Hollyford valley to west, and behind that the Darran Mountains with Mt Christina (2692m)12 km away to the SSW ( 232° T). Mt Tutoko ( 2964m) to the north. If you have time there are excellent views to be had by climbing Conical Hill (1515m) to the north of the saddle. About 2km from the Saddle there is a track intersection with Deadman's Track and after another 2km a large square rock which can be used as an emergency bivouac. Don't waste time on this section if the weather forecast is looking to be poor. Looking north, ".....you will be able to see right down the Hollyford to Lake McKerrow and the sea at Martins Bay ...." 8.5 km to the south (200° T), at the head of the Hollyford Key Summit (GR E0272856 N 5033572) stands out. Great reflections of Mt Emily (1815m) to the NE can be obtained in the lake early morning or evening. Flora: veronica scrub, beech forest, red of rata blossom in summer. Birds: sweet notes of the bellbird, rattle and bell call of the kaka, whooshing beat of the bush pigeons, waxeyes at forest edge, brown creepers deeper in the bush, black backed gull on rocky bluffs. Great views from Key Summit which is a botanists mecca, where "... stunted beech trees take the place of subalpine scrub and merge into perhaps the finest bog and swamp region .. with plant life ranging from sundews, bladderworts and orchids to bog forstera, bog daisy and bog pine."